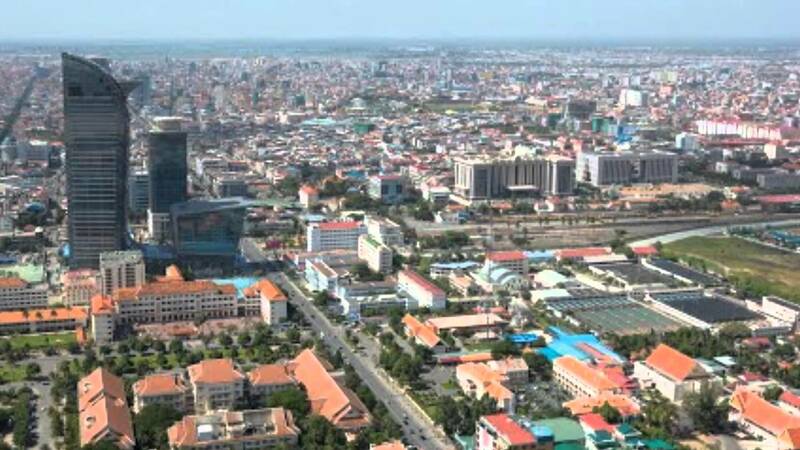 As of tomorrow May 1, I shall be in Phnom Penh to take up my appointment as Associate Dean, Techo Sen ( Hun Sen) School of Government and International Relations, University of Cambodia. I am grateful to my colleagues at the University, especially President-Minister of State Dr. Kao Kim Hourn, for accepting a soon to be 76 year old activist, who is considered to be irrelevant in his own country, and allowing me to partake in this major assignment. I feel appreciated and shall get on with the challenging task of building this School, which bears the name of the Prime Minister of Cambodia, HE Samdec Techo Hun Sen, into an academic and research center of excellence. Fortunately, I am not alone. Even before I board to the plane, I have been assured of collaboration with The S. Rajaratnam School of International Studies in Singapore, Nanyang Technological University where I will have the opportunity to work with Ambassador Ong Keng Yong, Emeritus Secretary-General of ASEAN and former Singapore High Commissioner to Malaysia and Ambassador Murshahid Ali, former Singapore Ambassador to Cambodia. In Malaysia, Tan Sri Mahbob Sulaiman, Chairman, Malaysian Institute of Economic Research (MIER) where I am a Associate Fellow has expressed interest in a research and consulting tie-up with the School and the University of Cambodia. Dato Dr. Paul Chan, Vice Chancellor, HELP University and his colleague, Dato Dr. Zakaria Ahmad have concrete collaboration proposals with the University of Cambodia. Upon arrival in the Cambodian capital by the Mekong, I will brief Dr. Kao on these matters. Posted in Consulting, Education, General, Research. Investigators into the Malaysian development fund 1MDB’s 2009 joint venture with the company PetroSaudi International have concluded that the partnership lied to its banks and Bank Negara Malaysia by confirming that the company Good Star Limited was a 100% subsidiary. In fact Good Star Limited is a third-party concern, controlled by the businessman friend of the Prime Minister, Jho Low, whom we have shown was secretly directing the fund’s investment decisions.It leads to possible charges of “cheating”, write the investigators in a document in our possession. Yes indeed. 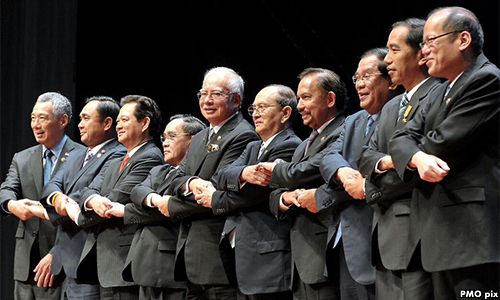 we are governed by a bunch of kleptocrats led by none other than Prime Minister Najib Tun Razak. Of course, he disagrees by claiming that his administration is transparent. He thinks he is a paragon of good governance with very qualified professionals like Idris Jala and Paul Low guiding him. If so why this mess! RM42 billion is not peanuts. Mr Arul, the 1MBD CEO has a lot to answer for this latest development. Posted in civil society issues, Finance, Financial Scandal, Govenance, Leadership, Najib, Politics. Faced with continued calls for his resignation, Prime Minister Datuk Seri Najib Razak tonight declared he will never back down or surrender, and stressed that his government was transparent. In his speech during the launch of the Performance and Delivery Unit (Pemandu) Annual Report at Angkasapuri in Kuala Lumpur, Najib said that he was aware of the mounting criticism against him, but added that he would not be alone as long as his “noble goals” remained alive. “Even though we are pressured and criticised, as a transparent government, I, as the Prime Minister, with Deputy Pime Minister and the ministers as well as my colleagues in the administration, will not budge or surrender, but will instead remain steadfast and continue to fight, and carve a million new pathways for the sake of the rakyat and the country.” he said. Najib’s remarks come amidst calls by former Prime Minister Tun Dr Mahathir Mohamad, who has asked for his resignation over scandals involving government-owned 1Malaysia Development Bhd (1MDB), for continuing the 1Malaysia People’s Aid (BR1M) and also over the murder of a Mongolian woman, Altantuya Shaariibuu. ‎In his speech tonight, Najib drew on Greek philosophers, Muslim scholar Imam Ghazali, Mahatma Gandhi, John F. Kennedy, and Martin Luther King whom he said had warned that those who fought for the right cause would face a variety of challenges. He said that famed Indonesian novelist, religious scholar and philosopher HAMKA, or Dr. Haji Abdul Malik Karim Amrullah, had advised that it was always better to stand and fight rather than give up and go home, no matter how high the odds were stacked against them. He also urged Malaysians to “think maturely” and not be overcome with emotion when judging the government and its “noble efforts”. 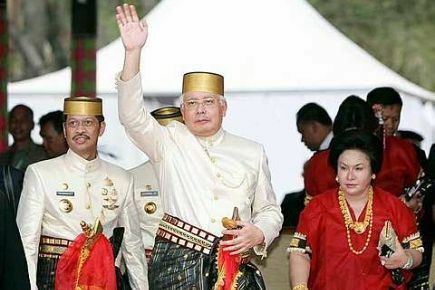 Najib said that no words could describe how important it was for everyone to be magnanimous (berjiwa besar) in their fight to develop the country. Recently, Dr Mahathir took his criticism of Najib up a notch, going beyond telling him to resign and asking the Malay ruling party, UMNO, of which Najib is President, to remove him instead or risk losing the next general election. Posted in civil society issues, Corruption, Democracy, Governance, Leadership, Politics, UMNO. 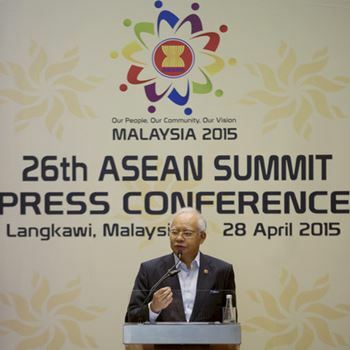 What did ASEAN Summit 2015 achieve? Posted in ASEAN, business, Economics, Foreign Policy, International Affairs, Politics, Security. The above words, for me, encapsulate how very accurately but increasingly insidiously, and through the backdoor, profligates the spread of ‘so-called’ Islamic values which are not really common to the public spaces of our secular society. What do I mean? When my oldest son was in Year Six; he was made a prefect and so Mum bought him three new pairs of blue shorts and white shirts for uniform for the new school year. Of course he was growing taller, too. But, one day he came back from school rather upset and told his mother that he has been told by his class teacher that he was not permitted to wear shorts any more. He had to get long pants for school and to do his duties as a prefect. I insisted that the deputy open a new complaints book and in it I wrote that my son would not be wearing any long pants for the whole year, as my wife had already bought the shorts for the current year! And let us not even try and guess who the education minister was then. My question to the rising but unconstitutional squad of religious bureaucrats is – do they even understand the above statement of fact as a historical truth about life intended for the new Malaysia? If you they do not, then they do not understand the limits of their jurisdiction. That is why I call them, ‘idiocrats;’ which means idiotic bureaucrats who do not know the rule of law and instead live by their ‘own rule by law’. Of course, it Is their understanding and interpretation of their own rules; and, not the country’s laws or even their sacred books. My teacher of Islamic Values for Life, Dr SH Nasr, used to say: A veil reveals as much as it hides. Generalising that principle, my problem with these religious bureaucrats is that they do not know the limits of their jurisdiction, and therefore they lose their integrity in the missteps of their over-zealousness. In Malaysia, Islamic religion is a state and not a federal matter. That means, for example, as is the case in Sabah and Sarawak, the federal system cannot insist that Islamic religion be made compulsory religion in their school system. Even though education is currently a federal matter, such does not give federal authorities jurisdiction of the substance and practice of Islamic religion in Sabah and Sarawak. This was explicitly their concerns stated in their 18 and 20 point demands. 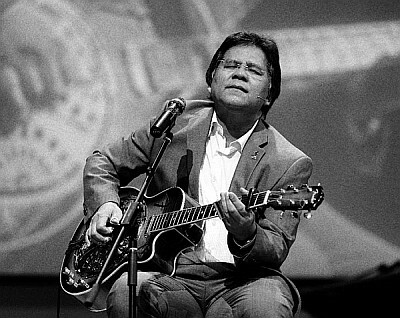 One Sunday Mail headline recently roared: ‘Uproar over Jakim’s Concert Rules’. Now, mine is therefore an even stronger legal and constitutional response to that same loud protest. First, some foundational questions. Under what legal jurisdiction is JAKIM created as a department of the federal government? In my understanding, religion in Malaysia, is a state matter and comes directly under the jurisdiction of the sultans and the state religious authorities. Moreover, its jurisdiction only covers Muslim personal and family matters and theological issues. So, can I know why and under what legal authority can JAKIM exist as a formal federal authority, and secondarily how can they dictate rules for good conduct and behaviour in the Malaysian federal public spaces; over which they have zero jurisdiction? Malaysian public spaces are common federal spaces for all Malaysians to mix and mingle deploying common universal public values. To safeguard these modes of conduct, some guidelines are given and these are willingly and voluntarily adhered to within our civil spaces of moral life. Can these now be “enforced by law, unless they are criminal in nature?” Can Islamic religious state enactments be criminal in nature? Can they therefore become criminal law only by the abdication of such spaces by the Article 121 (1A) amendments? If not, how else? I have a God-ordained human right to live a life of dignity in this world and prepare myself therein for the hereafter. No human can deny me, or any other human, that right. Consequentially, I also have some other legally secured human rights of conscience, ethnicity, religious belief and citizenship. In our families, we secure and apply all these human rights within the privacy of our homes. The more relevant question is what can we do when these rights are not followed by me and my family in our public spaces? For example, in our family home we do not drink liquor. Does that stop me from drinking outside the home as well? Therefore, if I still do not drink outside the home, is it not a personal value system, and as not one merely dictated by either my family or my religion? Now, how can I go to the common spaces, for example in my Old Boy Association Building; which we all helped establish, and then dictate that only ginger beer and root beer be served? Is that not my denial of the right of others to choose any other brand of beer, whether I drink it or not? Is that not what true religion is about; not one dictated by outsiders? True religion is one which is adhered to in one’s heart by the willing and voluntary compliance which comes from the desires of one’s heart and not by fears about the external environment and their religious diktats. May God Bless Malaysia with true religion. Posted in Civil Rights, civil society issues, Democracy, Islam Malaysia, Politics, Religion. Joseph Chinyong Liow is the inaugural holder of the Lee Kuan Yew Chair in Southeast Asia Studies and senior fellow at the Brookings Center for East Asia Policy Studies. He is concurrently Professor of Comparative and International Politics and Dean at the S. Rajaratnam School of International Studies, Nanyang Technological University, Singapore. Liow’s research interests lie in the fields of Muslim politics and civil society in Southeast Asia and the international politics of East Asia. He is the author and editor of 11 books and monographs including Muslim Resistance in Southern Thailand and Southern Philippines: Religion, Ideology, and Politics (Washington D.C.: East-West Centre, 2006), Islamic Education in Southern Thailand: Tradition and Transformation (Singapore: ISEAS, 2009) and Piety and Politics: Islamism in Contemporary Malaysia (New York: Oxford University Press, 2009). He is also co-editor of the four volume Routledge Series Islam in Southeast Asia. Liow has also published in numerous peer-reviewed academic journals, including Pacific Review, Pacific Affairs, Asian Security, Asian Survey, Journal of Islamic Studies and Modern Asian Studies. In addition to his scholarly works, Liow has also published in major policy journals such as Foreign Affairs, The National Interest and NBR Analysis. He has also consulted for several MNCs including Shell, Statoil, BHP Billiton, Monitor 360 and Chevron International, and is a regular commentator in the international media. Liow serves as co-editor of the Routledge Asian Security Studies book series and associate editor of the peer-reviewed journal Asian Security. 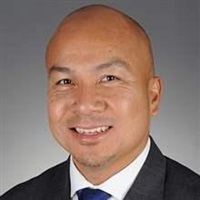 He is also on the editorial board of South East Asia Research, Journal of Defense Studies and Resource Management, Journal of International and Global Studies and the ASAN Forum. 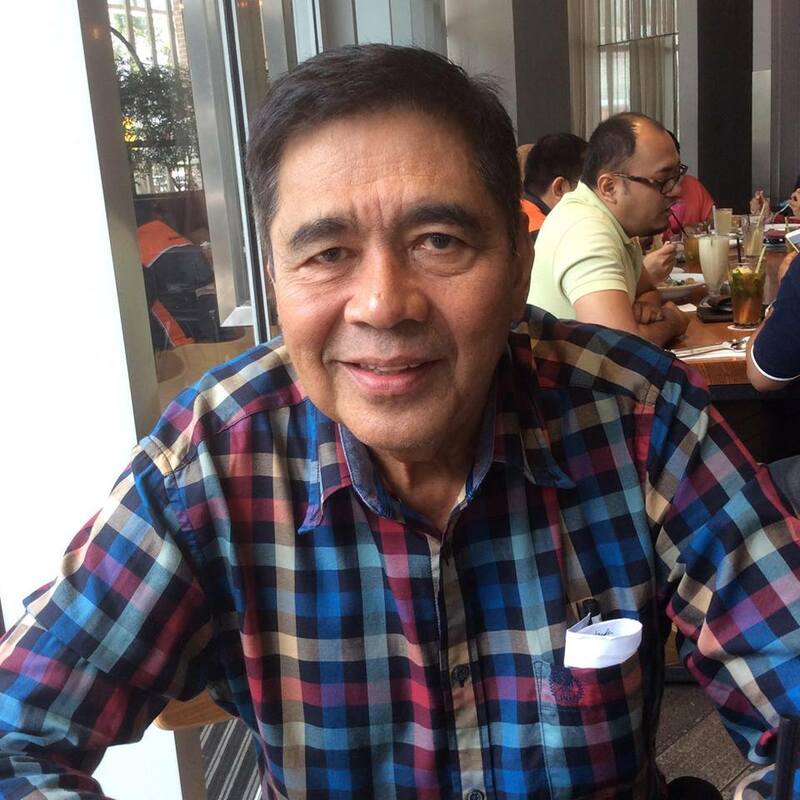 He has just completed the 512-page fourth edition of the Dictionary of the Modern Politics of Southeast Asia, and is currently working on two book projects; one on religion and nationalism in Southeast Asia and the other on U.S.-Southeast Asia relations since the fall of Saigon. Liow holds a doctorate in international relations from the London School of Economics and Political Science. This state of affairs is all the more perplexing given how often Malaysia’s Prime Minister, Najib Tun Razak, waxes lyrical on the international stage about moderation and how Malaysia is the epitome of multi-ethnic and inter-religious harmony, as he continues to press a nebulous “Global Movement of Moderates” agenda. What accounts for the appeal of ISIS in “moderate” Malaysia? To answer this question, let us start with the official Malaysian view on the causes of international terrorism, especially religiously-motivated terrorism. Malaysia’s Muslim leaders have frequently pinpointed American foreign policies that affect the Muslim world – particularly the invasion of Iraq, Washington’s unstinting support for Israel, lack of sympathy for the Palestinian cause, and war in Afghanistan – as one of the main causes of terrorism today. To be sure, much can be said about how these factors have inflamed Muslim sentiment worldwide. But my interest here is to look specifically at the challenge that religiously-inspired terrorism in general, and ISIS in particular, poses for Malaysia. To that end, I argue that while “external factors” are important, the main causes for concern may well originate from within Malaysia’s own borders. Second, Islam has unfortunately become heavily politicized in Malaysia. Malaysia’s dominant political party, UMNO, is a Malay-Muslim party that was created with the main objective, at least in theory, of promoting and defending Malay-Muslim supremacy. According to the party’s narrative, this supremacy is coming under siege from various cultural (read: non-Malay vernacular education) and religious (read: non-Muslim) quarters and hence has to be staunchly defended. 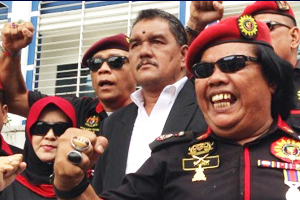 Given that Malaysia has a Malay-Muslim majority population, it should come as no surprise that UMNO’s chief political opponents are also Malay-Muslim parties who equally brandish religious credentials as a source of legitimacy. To the extent that there is political ideology at play in Malaysia today, it is Islam, and specifically Islamism, that dominates. Posted in Foreign Policy, International Affairs, Islam Malaysia, Politics, Security.